Tired of trying to spot our suitcase on the luggage carousel at the airport? 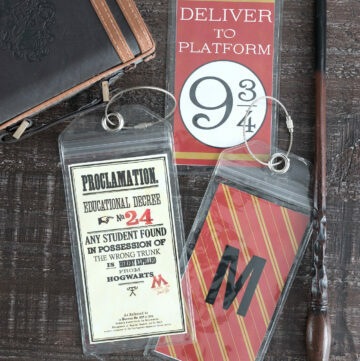 Add a colorful and unique luggage tag and you might just be able to spot it a little bit quicker. 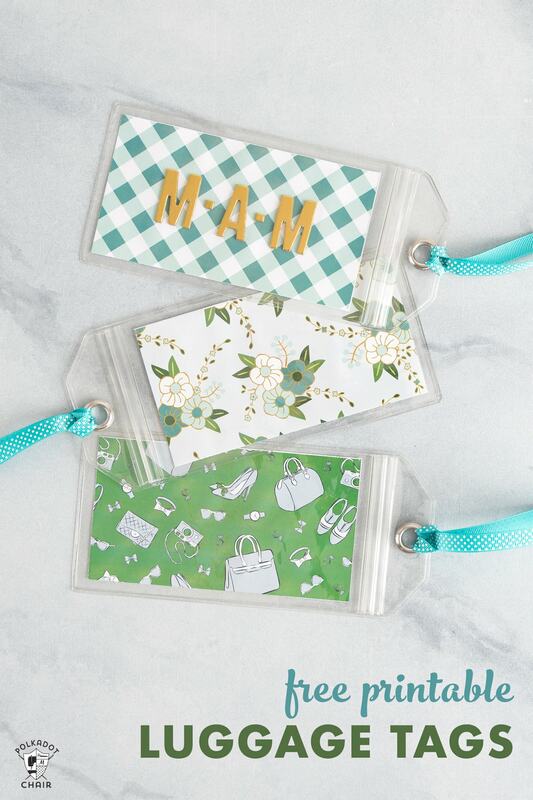 These free printable luggage tags are easy to personalize with your own monogram. Plus they are bright and unique, so spotting your suitcase at baggage claim should be a breeze (assuming that is, that your bags made it to their destination) ?? I can’t believe that I started this blog over 10 years ago. My how the time has flown by! Over the years I’ve been able to complete a lot of really fun projects. One of my favorite things is that I’ve had the privilege of designing several fabric lines. 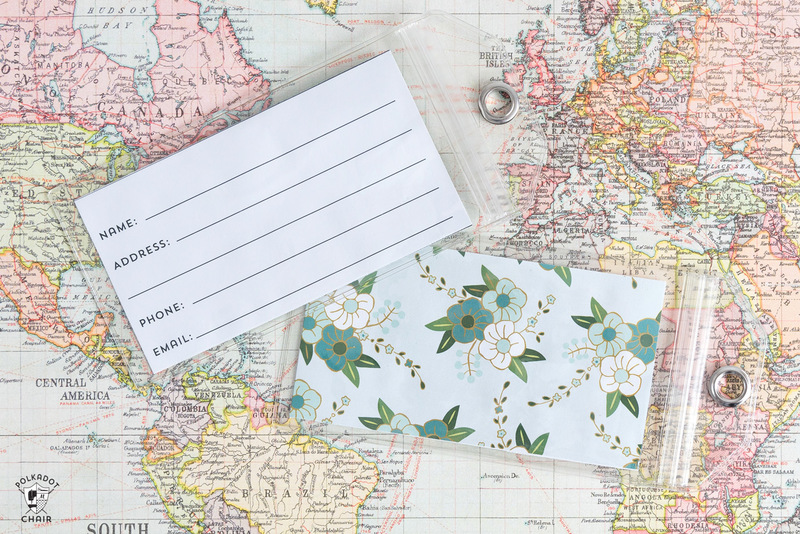 Today I’m going to be sharing a few of those designs with you in the form of these fun printable luggage tags! The graphics on these tags are from my Derby Day and Wonderland Fabric lines. 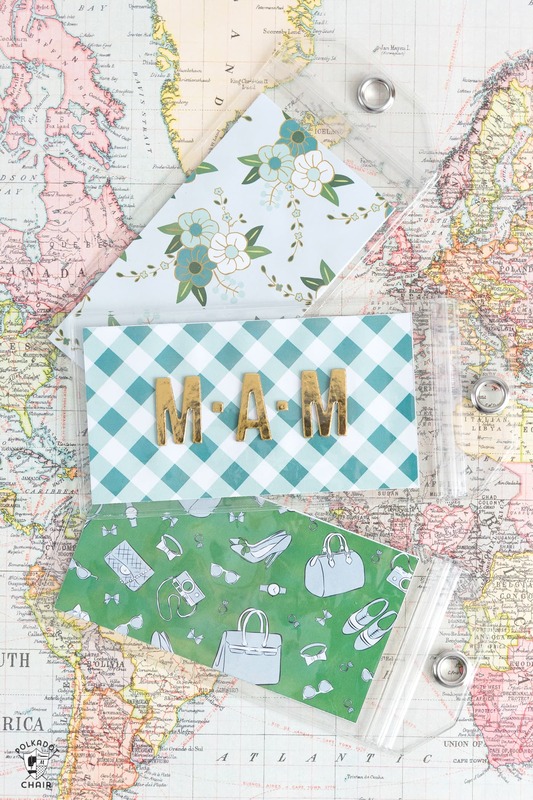 Our family traveled quite a bit last summer, and somehow we kept finding ourselves in need of luggage tags. The ones we had were cheap and kept falling off of our suitcases. About halfway through the summer, I decided that I’d design a set of tags for us to use. That way they would not fall off of our bags and we’d be able to spot our bags quickly on the carousel (since odds were no one else had the same tags that we did). I designed this set of luggage tags to fit inside plastic luggage tags that you can buy online. 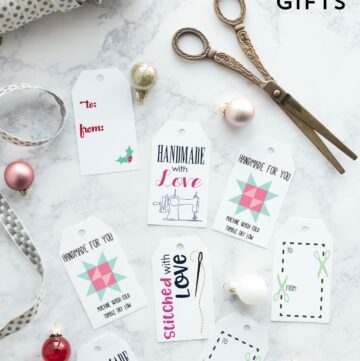 All you need to do is print out the tags and insert them into the purchased plastic tags. 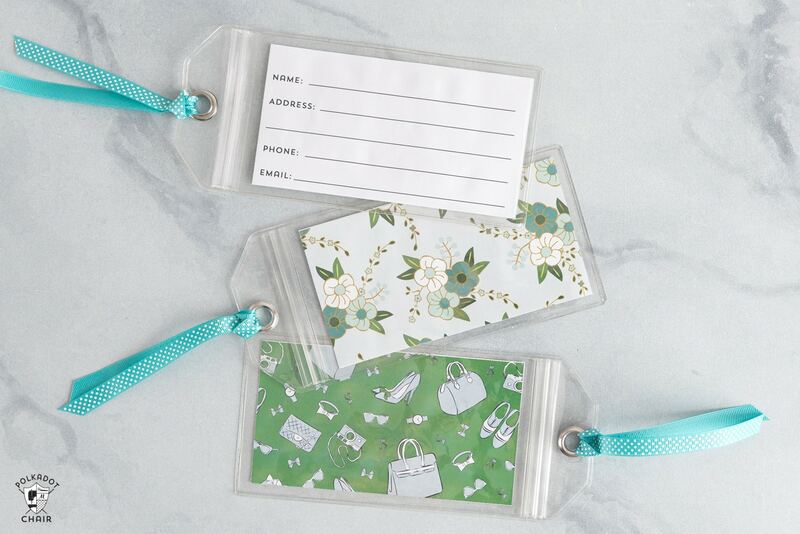 If you don’t want to buy the plastic tags, you can always laminate the luggage tags yourself after you print them out. 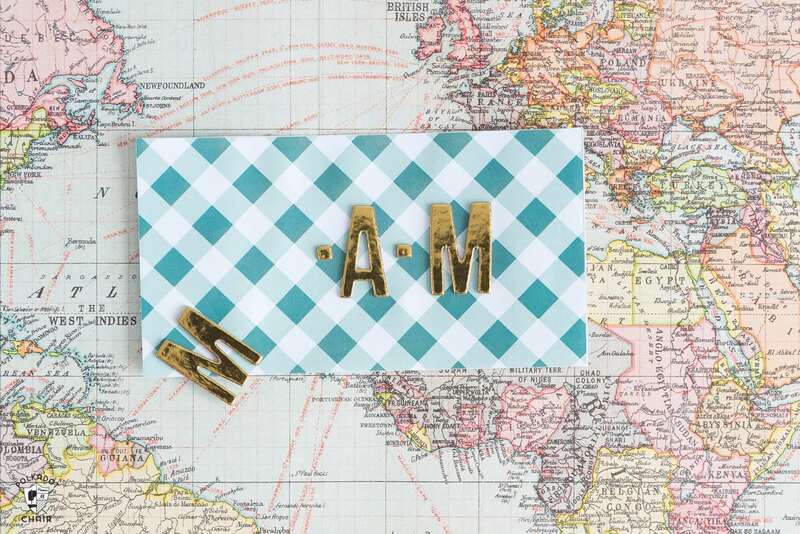 Letter Stickers if you wish to monogram your tags. 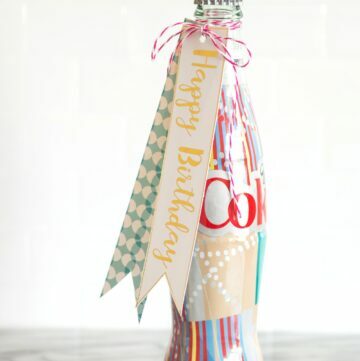 Print out the tags onto plain paper. Since I was using the luggage tag sleeves I did not feel the need to print out the tags on cardstock. 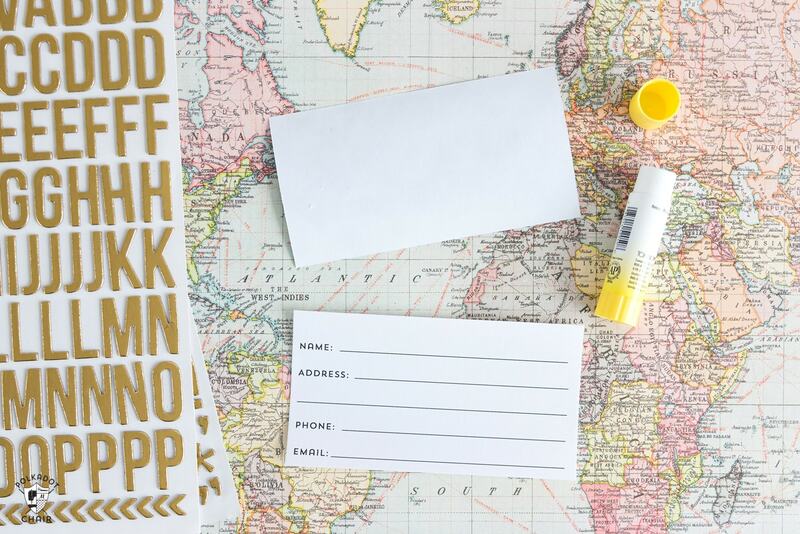 If you are going to laminate these yourself you’ll probably want to use cardstock though. Cut the tags out. You have 1 print out of the front of the tags and one for the back of the tags. Use a bit of glue to hold the tag front and back together, wrong sides facing. 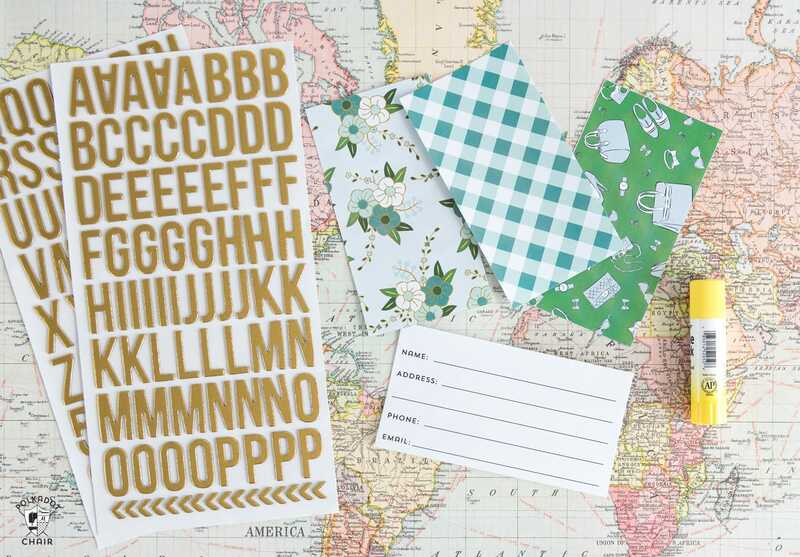 If desired add letter stickers to the front of your tag to make your own custom monogrammed tags. After you’re done, just slip the tags into the sleeves. 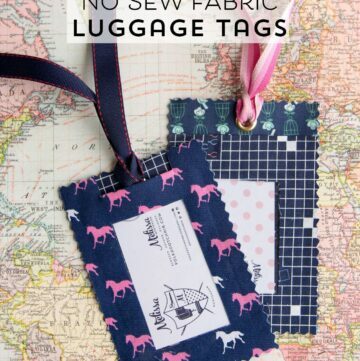 You can use the attachments that came with the tags or you can use a bit of ribbon to tie them to your suitcase.